Delivering his plainspoken and relatable lyrics with an aching grace, Trevor Daniel‘s music reflects the uncertain emotion and tantalizing closeness of 21st century romantic relationships. Preparing his texturally rich sophomore effort, Trevor Daniel announces Restless, his upcoming EP. Aided by the production wizardry of Taz Taylor and his Internet Money crew, including producer Nick Mira (Juice WRLD’s top ten hit “Lucid Dreams”), Restless finds the Houston singer-songwriter exploring every facet of his relationships, from the inseparable start to the heart-wrenching finish. Taz Taylor and the rest of the Internet Money producers raise their game for Restless, detailing each speaker-knocking instrumental with pristine clarity and switching up the sound with whimsical musical flourishes. The follow-up to Trevor’s 2018 EP Homesick, which boasted the mournful breakout hit “Falling” (over 10 million total streams), Restless EP arrives on March 22nd via Internet Money/Alamo. To accompany the announcement of the EP, Trevor shares “Paranoid,” the project’s lead single. 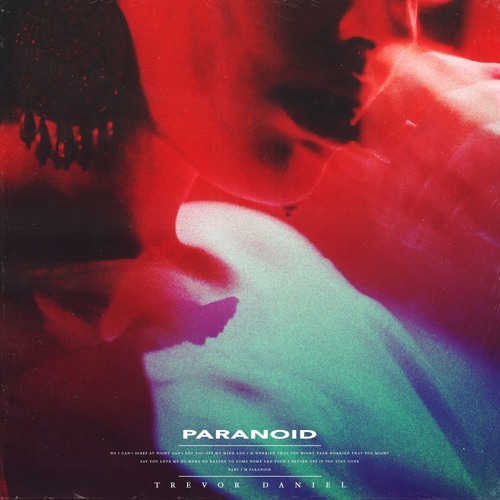 Produced by Taz Taylor, TouchOfTrent, JRHITMAKER, JoL’z, and Wallis Lane, “Paranoid” kicks off with a vaguely-Latin guitar pattern in 6/8 time, before settling into a slow trap-style groove, complete with echoing guitars, snapping hi-hats, and otherworldly vocal samples. Trevor’s voice floats above the fray, weaving infectious melodies as he devolves into anxiety, obsessing over his significant other’s possible infidelity. Premiered by FLAUNT, “Paranoid” is another formidable entry into Trevor’s array of lovelorn ballads.